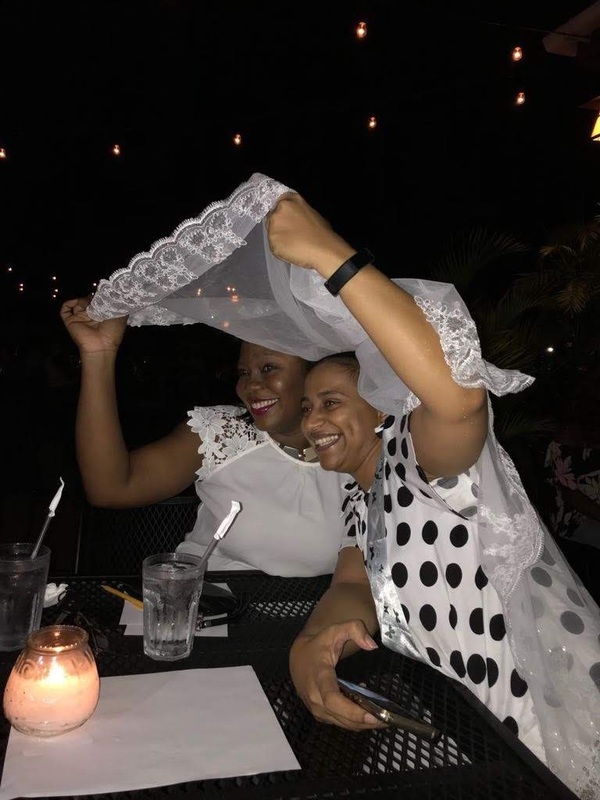 After a long day at work, instead of going home to her family, my cousin Cyreca was tricked into thinking that she was going to a social at her friends office. Little did she know what was in store for her..She was so surprised to the point of tears when she discovered that it was her bachelorette party. This is the first time attending such a party. I have watched it on Tv for years and heard from others about it...It was a wonderful experience. I enjoyed it so much that I did not even notice that no male strippers were there.